In this article, methodologies have been proposed for site selection of sub-station considering technical and non-technical constraints. Firstly, a systematic frame has been developed considering various factors that influence the optimal location of the sub-station. Various factors considered are evaluated using DEMATEL-QFD. An evaluation has been done between the outcome of the TOPSIS (Technique for order preference by similarity to ideal solution) method and the COPRAS (Compressed Proportional Assessment) method. Finally, Spearman rank co-relation co-efficients indicates the strength of association of both the methodologies. A case study is done using GIS to prove the justification of the methodologies to the applied area. The application of the methodologies will help the decision maker improve the plan, location and grid renovation of the distribution sub-stations. Sub-station location is necessary to construct the new power sub-stations and extension of those which are already in operation to face the growing demand for electrical energy in the area. Usually a plan is developed by the power companies to define the quantity, power and site of power sub-stations to meet current and future demands of electric distribution network within a region. Hence, planning the extension of electric distribution network is a complex real-world optimization problem. In general, different mathematical programming formulations and techniques have been proposed and applied to the selection of location of electrical distribution sub-stations (Gonen and Foote, 1981; Hindi and Bramellar, 1977; Sun et al., 1982). Though, the majority of these methodologies are mostly constant load level analysis, normally assumed as the utmost load level. Sub-station must be as close as possible to the load center of its respected service spot, in order to decrease the result of product of the load and the distance from the sub-station (IEEE Committee Rep., 1968; Gonen, 1986). Li and Chung, 2004; used Genetic Algorithm (GA) to find the optimum location of sub-station which meets the load demands of 13 load points whose coordinates and MVA (Mega-Volt Ampere) demands are given. Similar kind of work has been carried out by Turkay and Artac, 2005; and Gomez et al., 2004. In all the cases, preparation of laying the feeders or allocation planning has been done either by man machine interface or heuristic algorithm. Hwang et al., 1983; Hwang and Yoon, 1981; used the potential of the GA in optimization techniques which is used to solve the planning based problem in a very complete and detailed formulation considering the nonlinearity of the cost utility, the restrictions of the voltage magnitudes and reliability of the system. An integer coding scheme was used for the consideration of different conductor sizes and sub-station sizes; also new genetic operators were proposed for improving the performance of the algorithm. Fawzi, Ali and Sobki, 1983; proposed an iterative optimization methodology, using heuristic relaxation, successive linearization as well as and bounding procedures. Different type of methodologies has been proposed in the literature for the remedy of the electric distribution sub-station location problem. In optimization approach, well-known Dijskstra’s minimum path algorithm and Ford and Fulkerson’s transportation algorithm has been applied (Crawford and Holt, 1975; Dijkstra, 1959; Ford and Fulkerson, 1956). Thompson and Wall, 1981; proposed a branch-and-bound model for the selection of the sub-station location. 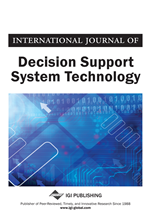 Kahreman, 2008; proposed a different approach using fuzzy logic for decision making with estimated values under incomplete or uncertain information. TOPSIS is one of the numerical methods of the multi-criteria decision making. This is a largely applicable method among the simple mathematical model. The method is applied in the last three decades and there are many papers on its applications (Tzeng and Huang, 2011; Yoon and Hwang, 1995). COPRAS is one of the MCDM (Multi Criteria Decision Making) methods for decision making in various fields of science and expertise. The COPRAS technique use a stepwise grading and evaluating procedure of the alternatives in terms of significance and efficacy degree. The accomplishment of the methodology is on the whole due to its simplicity and its particular easiness of use. Though, only a small number of thriving application of COPRAS method have been reported in literature in various fields for decision making, such as construction (Zavadskas et al. 2008), sustainability evaluation (Viteikiene and Zavadskas 2007), buildings construction (Kaklauskas et al., 2006), road design (Zavadskas et al., 2007), and education (Datta et al., 2009). In these, researchers had mainly focused upon the quantitative attributes and had not effectively considered the qualitative attributes.